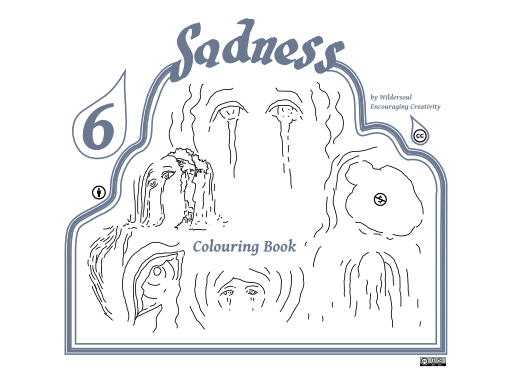 I am teasing you with a very tiny version of the front cover of my new colouring book called Sadness. If you have a moment, let me know what you think. I am fairly new to blogging, and absolutely new to setting up shop. So I’d love to hear my blogger buddies’ views on the pros or cons of Sellbox. Personally, I think it’s the easiest way to sell online that I have ever seen! Now don’t be frightened….. that’s a thought for the theme of the next colouring book! (Scratches a note on to diary) Don’t be frightened, I will still upload free colouring pics for the remaining 7 months of my one year goal. This is sort of a testing ground for ideas. If my colouring books don’t sell, that’s okay. I will move on, to create poems, or stories, or do something else with the skills I have picked up along the way. If they do sell, I will be thrilled. I really enjoy creating artwork for others to colour. Or to use for poem therapy, or poem art, or illustrations, or ideas….